Continuing from the previous Paint the Night installment of Monsters, Inc. comes the fourth installment of the series, featuring floats from Pixar's Cars franchise. 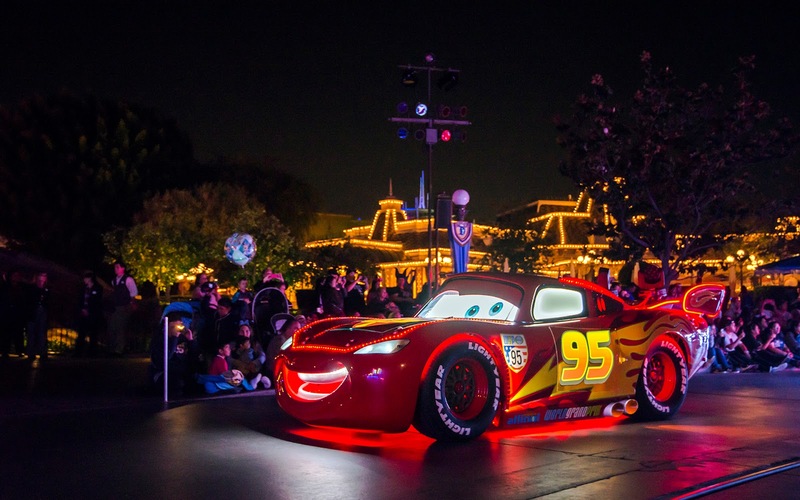 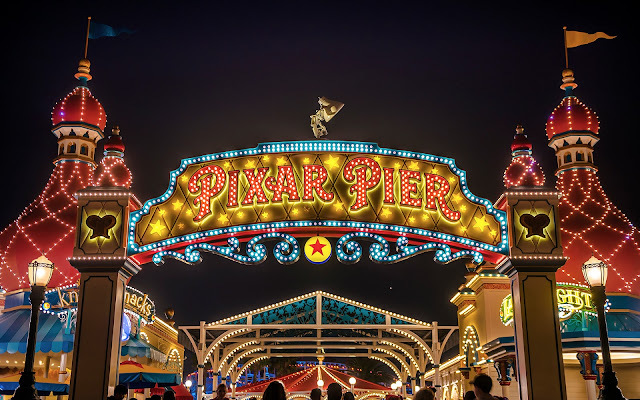 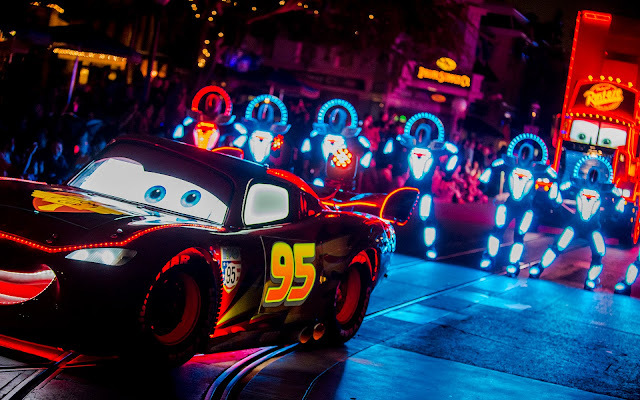 This is the most commercially popular Pixar intellectual property, and it resonates deeply with children, so it's no surprise that Paint the Night features Lightning McQueen and company. 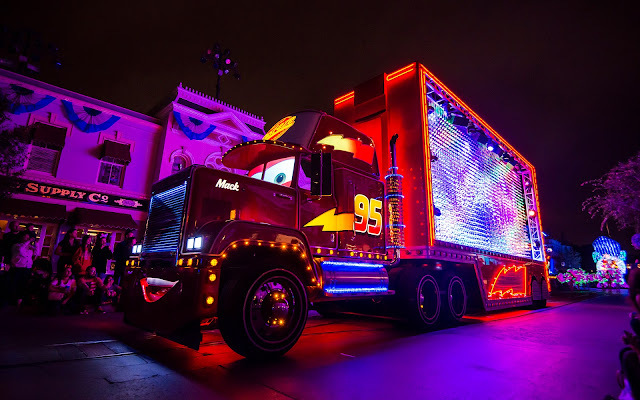 And this segment comes in spectacular fashion, with an illuminated dancing "pit crew" along with a spectacular Mack big rig unit that is a feast for the eyes. Here are some photos of the floats! 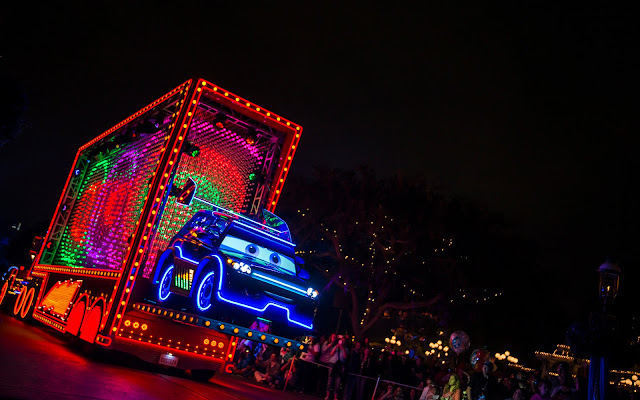 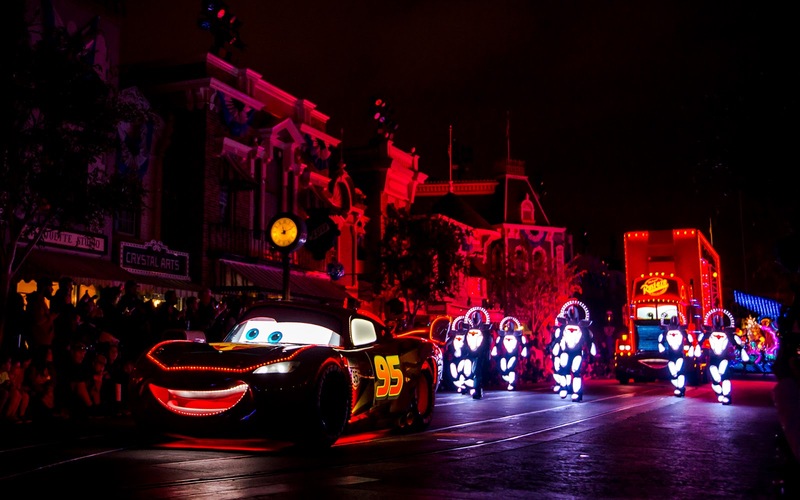 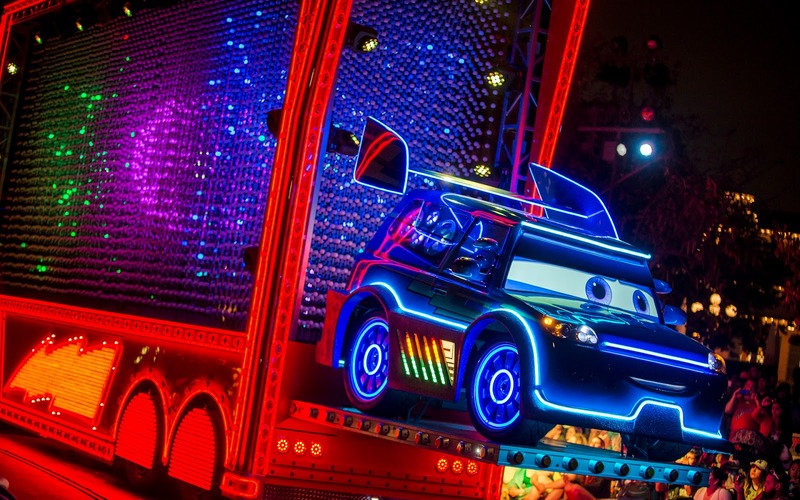 Lighting McQueen follows the Monsters, Inc. float, bringing back-to-back Pixar floats. 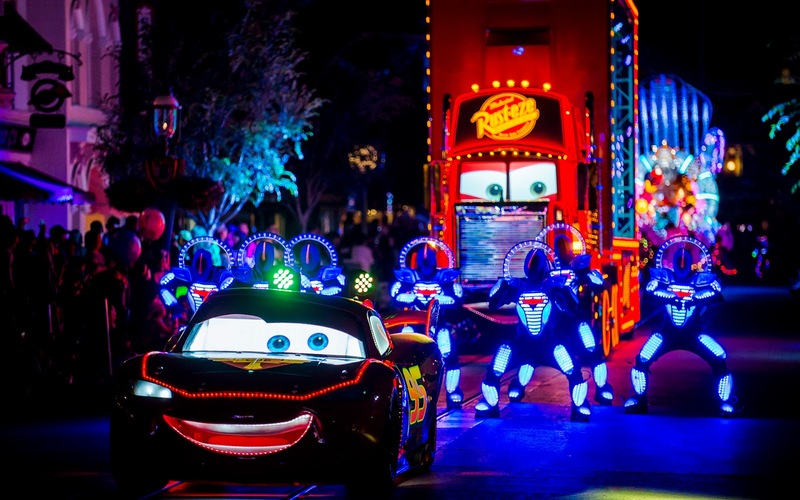 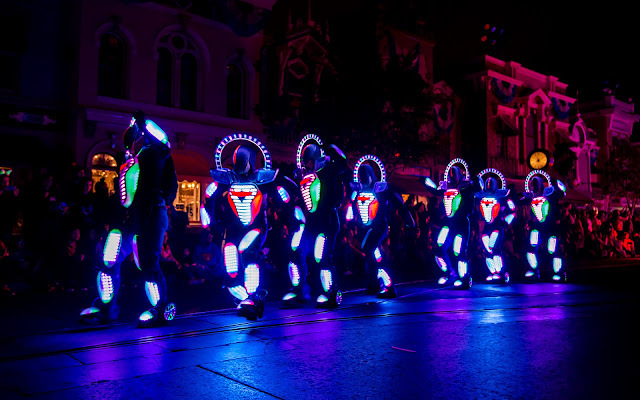 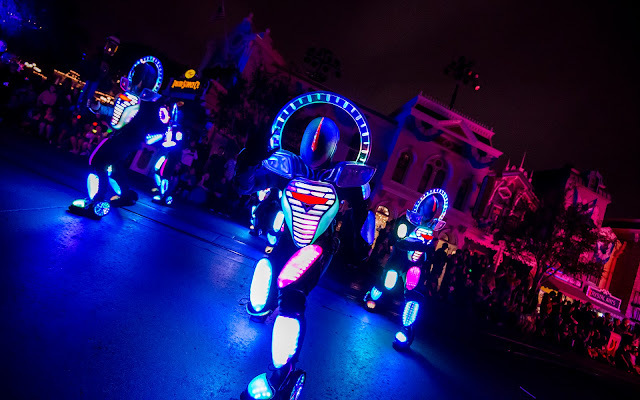 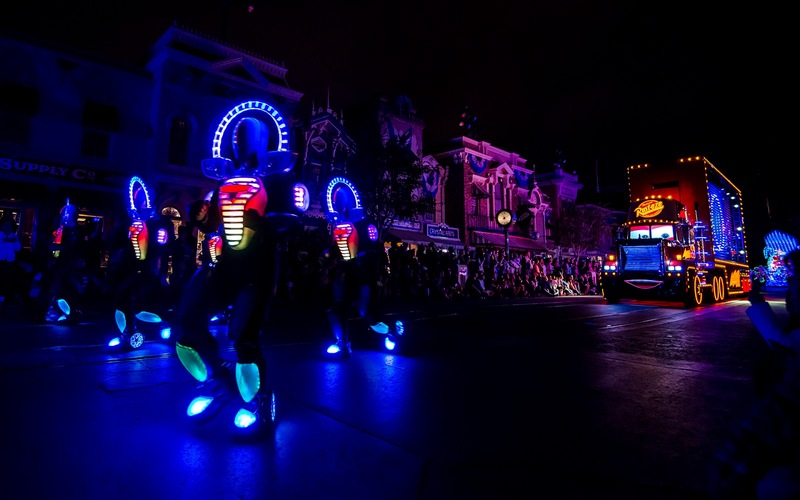 Lightning is trailed by his trusty transporter, Mack, and some lit up dancers. I love the shadows the red lighting creates. 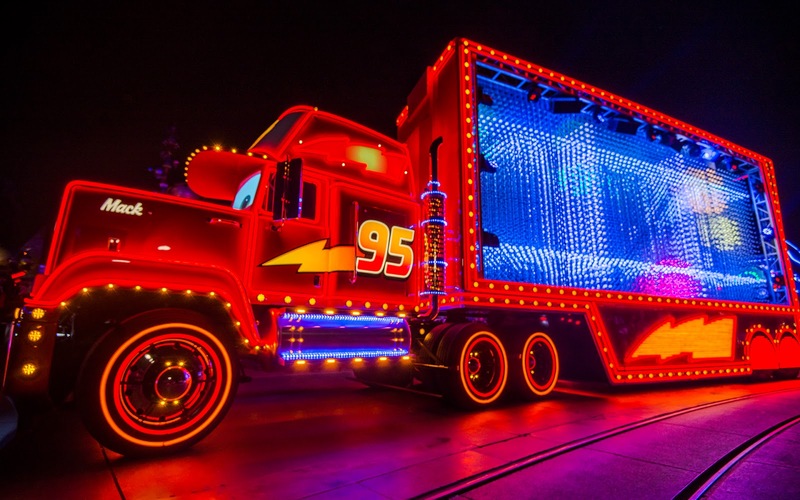 It's quite sleek! 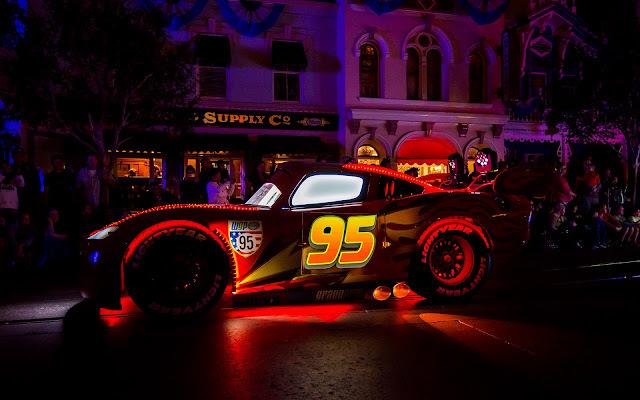 And this Lightning has headlights! They move in beat with the rhythm of the parade music. 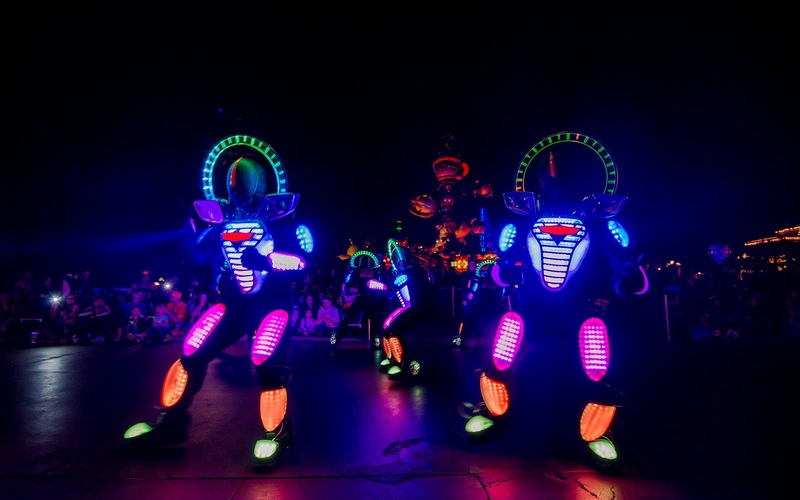 And of course, there is an amount of audience interaction. 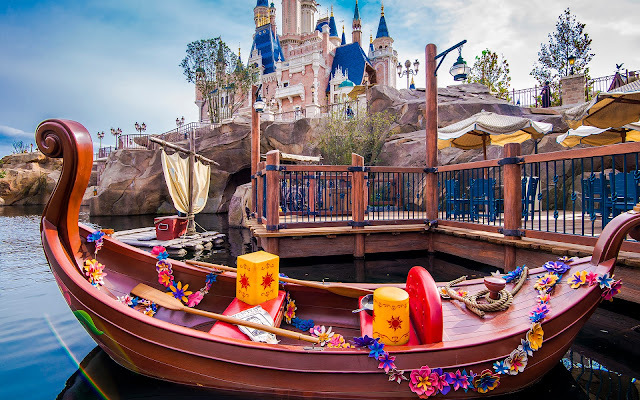 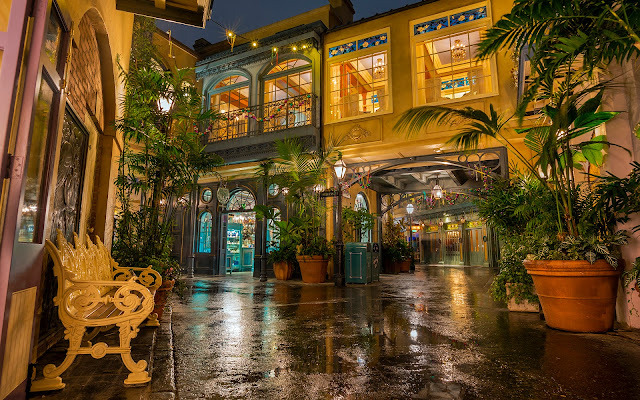 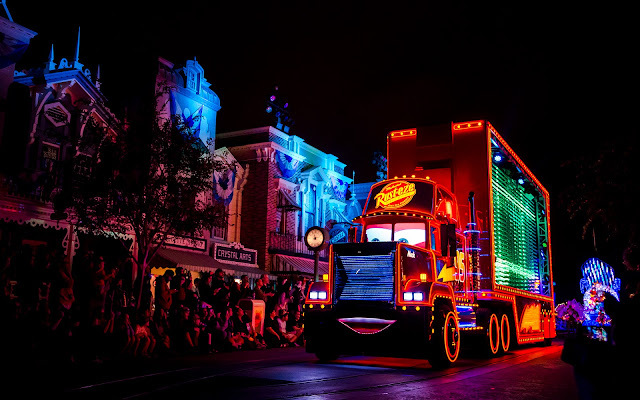 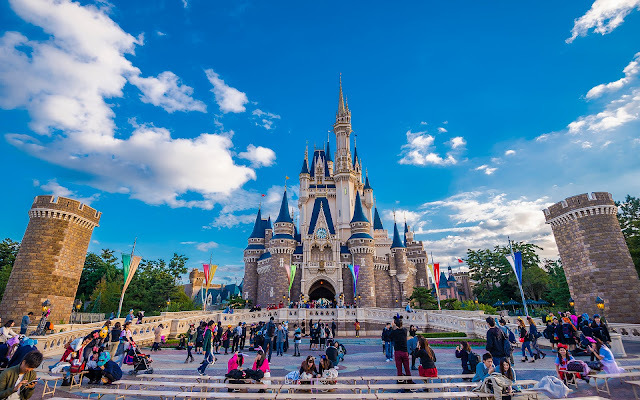 Though there have been isolated criticisms of anachronism of a big rig rolling down Main Street, U.S.A. and the shallow theming hidden behind a box of flashing lights, most people seem to absolutely love this unit. 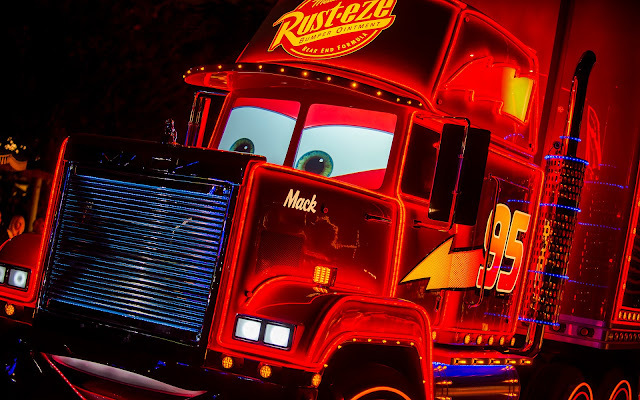 Mack is especially popular with the kids, who look on with wonder. 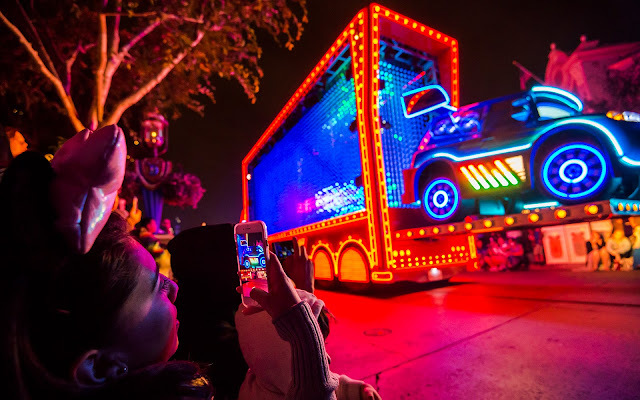 Heck, adults look on with wonder too when they see the lighting effects! 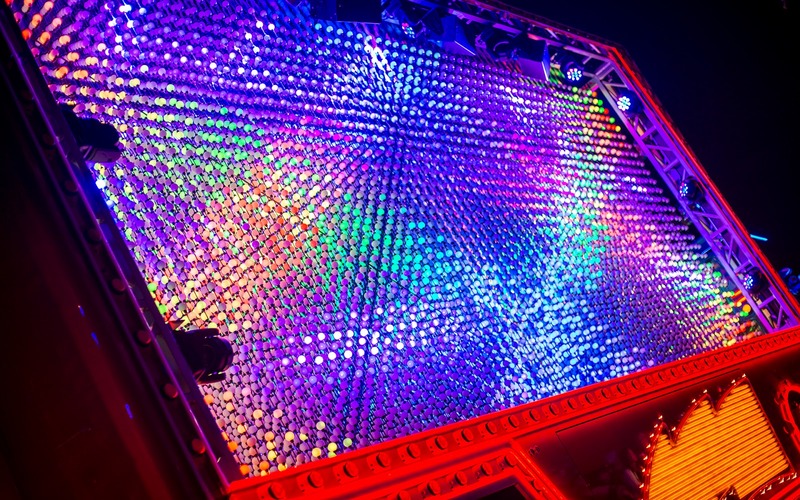 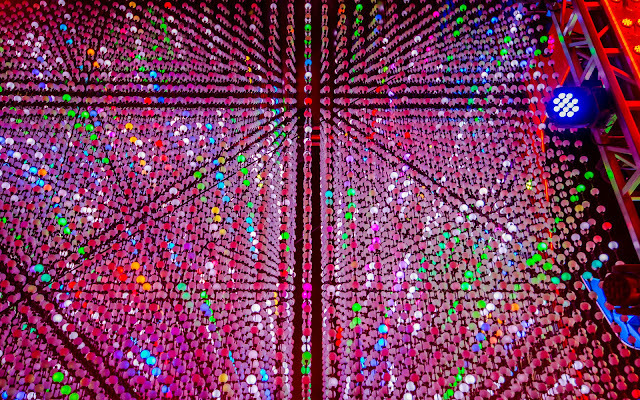 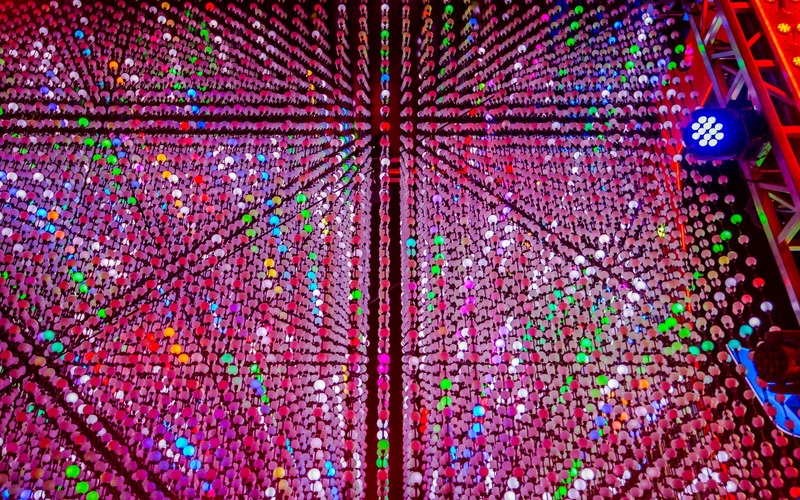 The 3D field of bulbs creates a mesmerizing series of patterns that add depth to the lighting effects. Pictures don't do this effect justice. 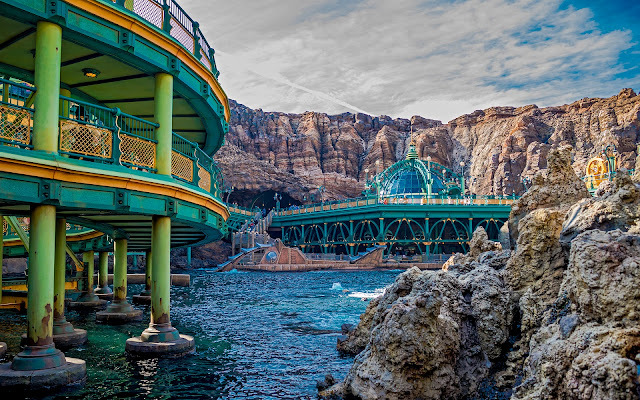 It needs to be seen in person to be truly appreciated. DJ dances along behind Mack, calling out to the guests. 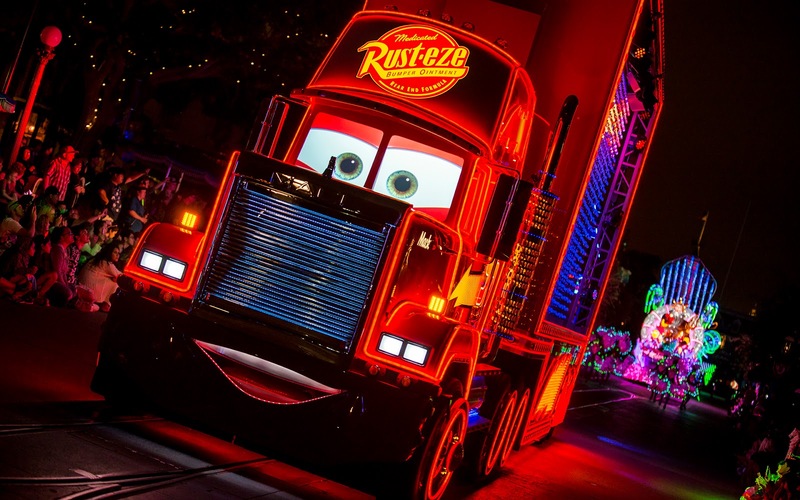 He's a curious choice, given his relative insignificance in the movies, but I'm assuming he was chosen due to his entertainment presence in Cars Land over at Disney California Adventure. 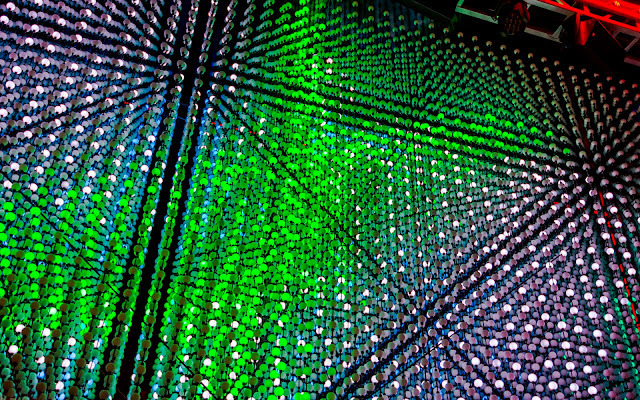 Click here to see the next installment.